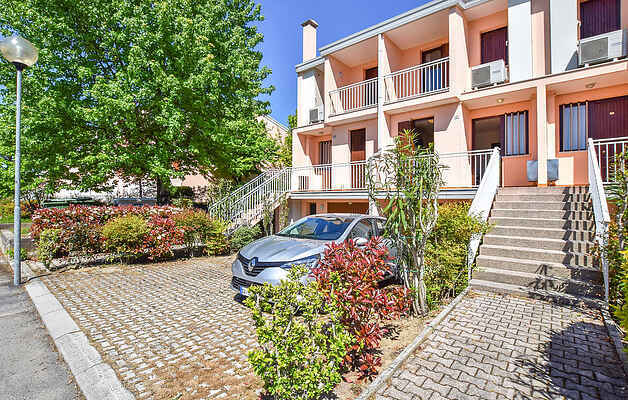 Terraced holiday home, with swimming pool, located 600 m from the center of Bibione, a Venetian town famous for its beach and its thermal baths. It has an outdoor terrace overlooking the pool. Garden furniture and barbecue to spend pleasant relaxing evenings. The beach is only 1500 m away and runs along the entire seaside site, ideal for long walks. Distances: Venice (90 km), Trieste (105 km), Portogruaro (30 km), San Daniele del Friuli (65 km), Aquileia (55 km).